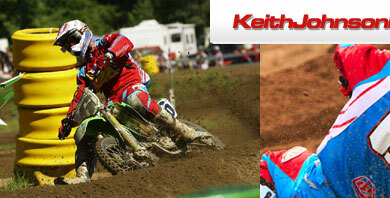 2009 - Loretta Lynn's national champion winning both the junior 25 plus and 35 plus Vet classes. 2005 - Johnson competed in his second full season with the OTSFF Factory Suzuki Team. With one of the closest points standing in CMRC racing, only 5 points separated 2nd to 5th place in the standings! Keith finished 4th overall and will be wearing the #4 plate in '06. 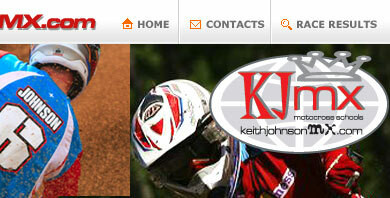 2004 - KJ contested the CMRC Canadian motocross nationals for the first time. Despite an early season injury, Keith toughed it out and rode to an impressive 6th place overall to earn the number 6 plate for 2005 finishing in the top five 5 times. Johnson placed 20th at the Daytona Beach, Fla., round of the AMA 250cc Supercross series... He would go on to place 10th overall at the AMA 250cc motocross series at Mt. Morris, Pennsylvania taking the 2nd place top privateer award. 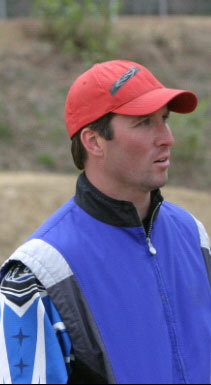 2003 - Johnson took 11th place overall at the AMA 250cc motocross series race at Southwick, Mass. 2002 - Johnson raced in the 125ccAMA East Region Supercross series, taking his season-best finish of 13th-place at Minneapolis, Minn...He raced in the AMA 250cc U.S. Motocross Championship, earning his best overall result of 10th-place at San Bernardino, Calif...Raced with Cernics KTM team. 2001 - Johnson placed 14th at the Daytona Beach, Fla., round of the AMA 125cc East Region Supercross series... He took fourth-place overall at the AMA 125cc motocross series race at Southwick, Mass., with a season-best, third-place finish in moto one there... Raced with 3-D Yamaha team.